Halloween: the stuff of giddy children’s dreams. From dressing up, getting the sugar high of the century, and seeing pumpkin and ghost paraphernalia everywhere, it’s hard not to enjoy the excitement most kiddos feel when this special-but-spooky holiday rolls around. Parents seem to love it, too, but the dreaded costume selection situation has gotten a bit out of hand. Every store begins decorating with Halloween décor in August, and kids will change their minds no less than a dozen times about what they want to be on October 31. From a princess to a kitty cat to a ballerina zombie, you’ll wonder if creativity is such a good thing, (and why, oh WHY did curiosity have to kill the cat? We just bought that tail and ear set!) and where your child has been getting all of these “great ideas” from. Whether you’re on a less-than-spooktacular budget or simply want some great, cheaper options for when your little guy or ghoul inevitably changes their mind again, we’ve got just the ticket for budget (or boo-dget–get it?!) Halloween costumes for your toddlers and kids. 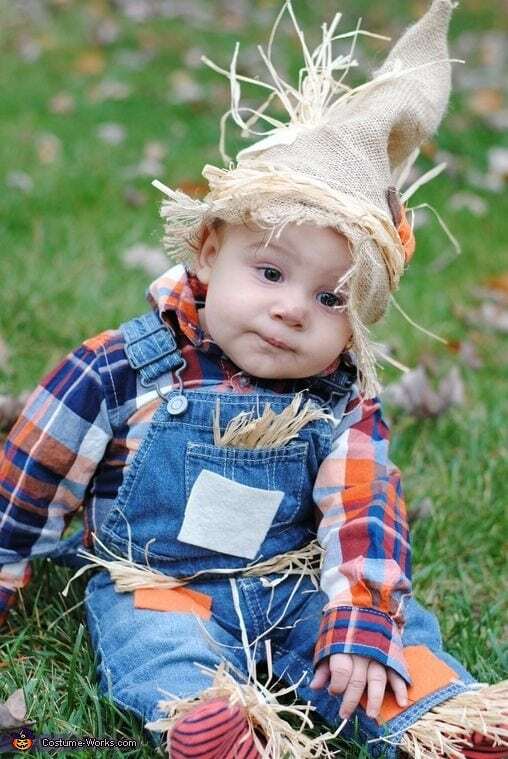 Overalls or jeans+flannel and some hay, and your little one will be guarding your crops and stealing your heart in no time flat. Their pants already come up to their little chests anyways! Add some “wrinkle” lines with eyeliner and tuck their best shirt in or pair a conservative dress with a cardigan. Bonus points for fake reading glasses and wigs! If your child is willing and able to leave a headband alone long enough for some solid pictures, that’s really all you need. 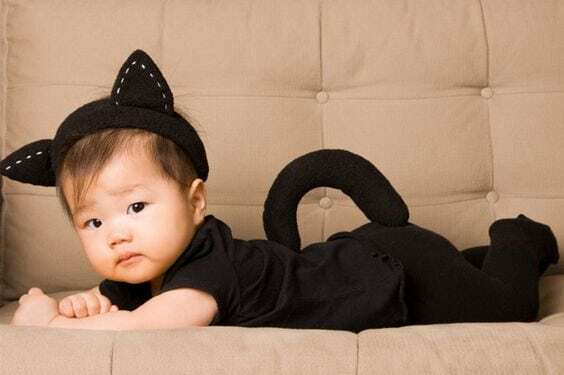 Pair a black onesie with cat ears or a red onesie with little horns—but you know the only thing devilish here is how cute your baby is! 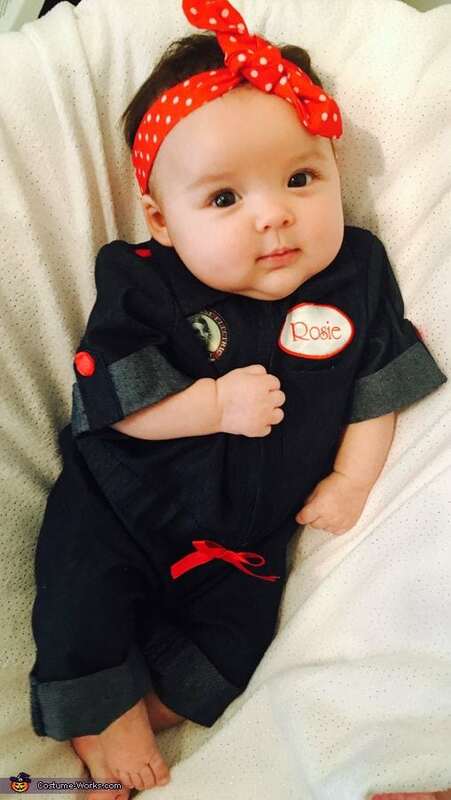 Grab the teensiest chambray top and red bandana you can find, and just like that your little gal is motivating the masses (to give YOU all the candy!) and Halloween ready. 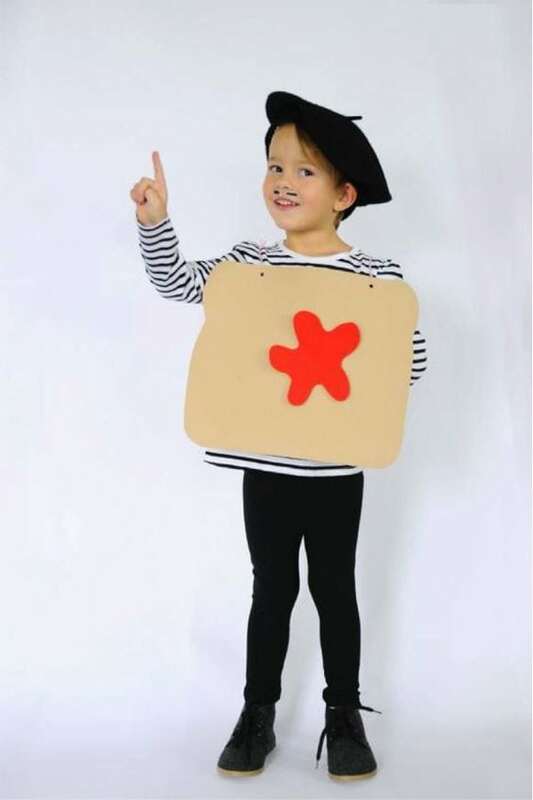 Combine a black and white striped shirt, black pants, and a beret (or hat easily donned to the side) for this one: then, using cardboard, cut out and design a large square to loop with twine or ribbon around their neck (safely, of course!) to represent toast. Adorable and clever! Aside from being an incredible movie, Pixar has gifted us with easy Halloween costumes for kiddos. 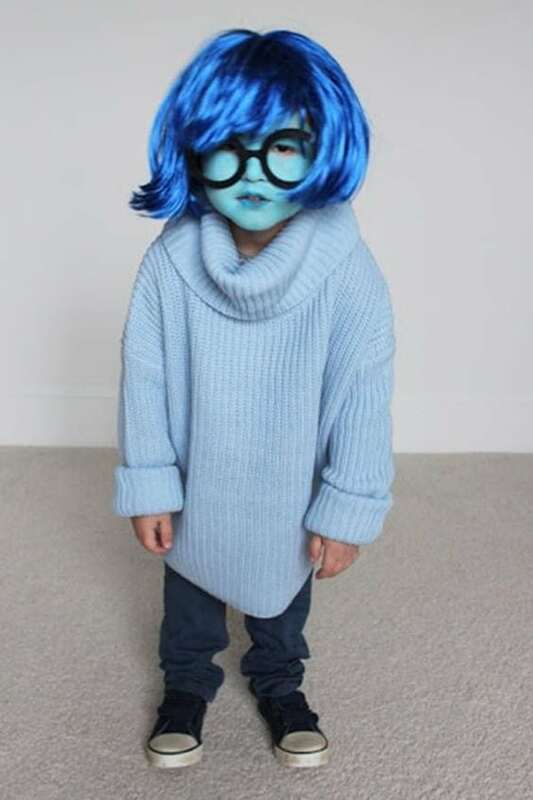 Grab a colored wig and some face paint depending on who your child wants to be, and find appropriately matched clothing with colors already present in their closet. Not only is this an insanely funny movie, but costume renditions of it are priceless. 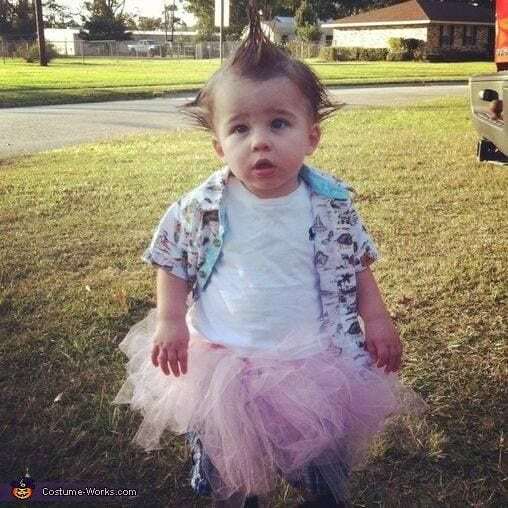 Grab a cheap tutu and a Hawaiian shirt from your local thrift store, and spike your little’s hair like crazy with hair gel. Pure Halloween gold. 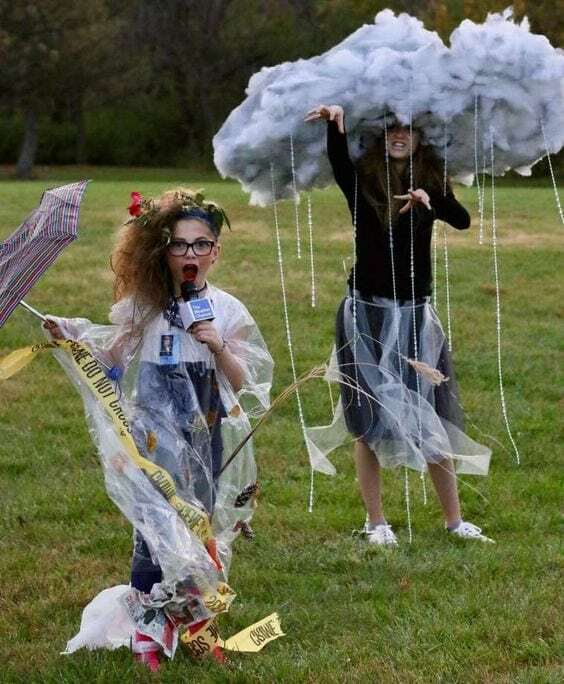 Pair your kid’s khakis and collared shirt with a tie thrown over their shoulder, crazy hair, an inside-out umbrella and debris glued or taped to their pants leg and you, my friend, have your very own little storm chaser. Got some tighty-whities? You’ve got half the costume already! 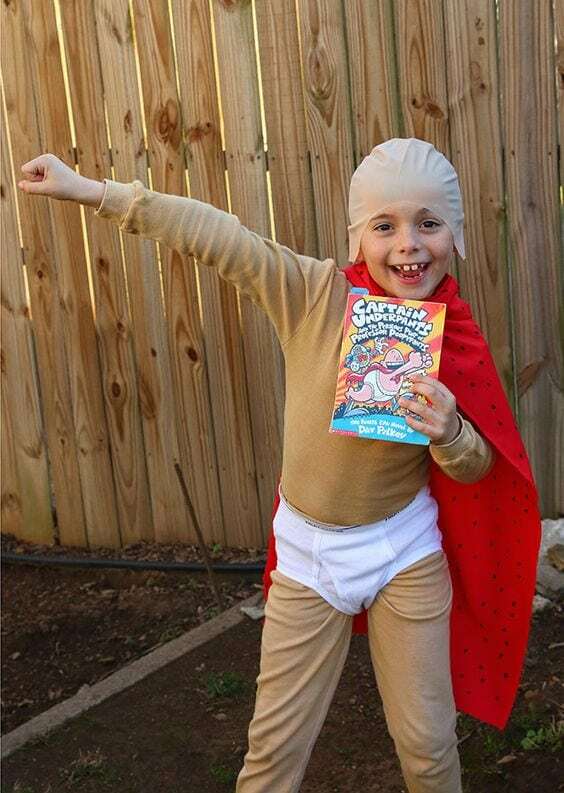 Grab a red cape, skin-toned shirt and shorts (to go under the underwear) and your little cutie pie will be ready to take on trick-or-treating. 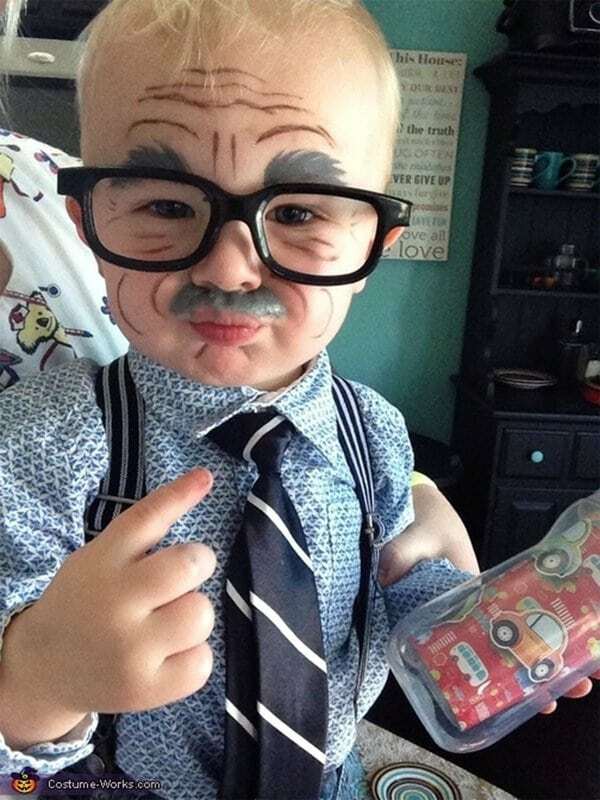 While your children might not be excited to eat their fruits, chances are they’ll think it’s fun to dress up like them! 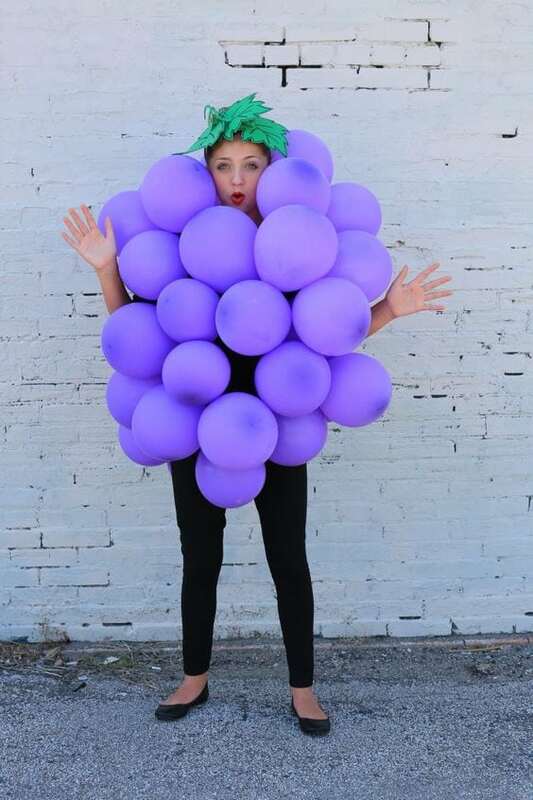 Grab a dozen or so purple balloons to attach to your child anyway you like, and goodness grapeness you’ve got one adorably easy costume! 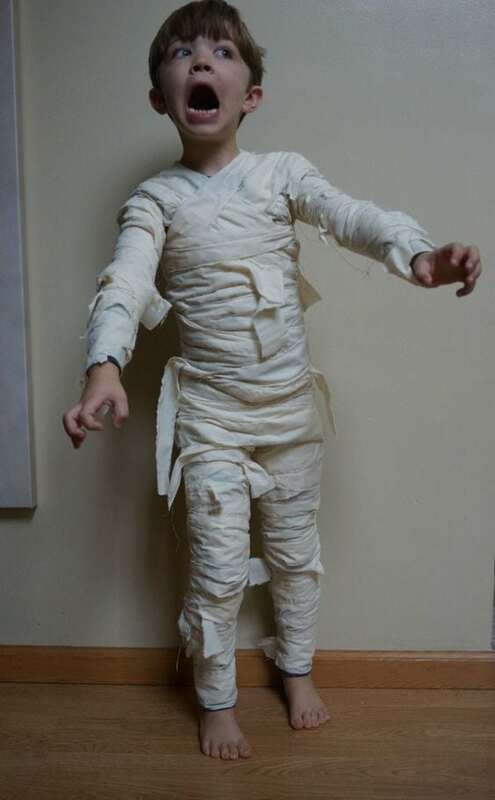 Have your child wear black pants and a black top, and then have some fun wrapping them a few times over in toilet paper. Bonus points for adding a bit of face paint to make them look a little less green around the gills! This one might suit your kiddo who is just dying to wear a scary costume but you can’t allow yourself to buy them some horrid mask and plastic weapon combo just yet—after all, you’re still their mummy! Remember: cardboard boxes, face paint, eyeliner and a wig are your best friends. If you’re not quite sure about our list here, having one or two of the aforementioned lying around can turn your little goblin’s Halloween into one you’ll all remember—and you’ll remember it specifically because it didn’t cost $39.99 plus shipping and handling.